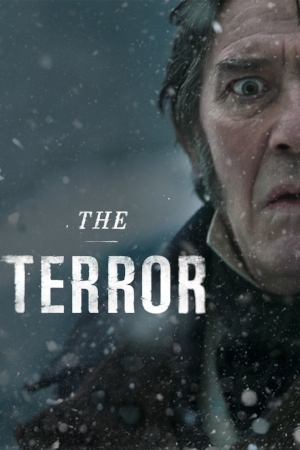 I'm not going into depth on this series here--saving it for my next podcast episode once this show concludes--but I just have to say how much I genuinely enjoy AMC's new "survival horror" drama, The Terror. Loosely based on real events with suspense, horror and yes, terror injected into the show's historical sinew, this is satisfying and true must-see TV. It's also superior to the tired The Walking Dead. I've also made a note to visit the show's source material, the novel by Dan Simmons. I'll cover this more in the next Mysterious Goings On, but needless to say, I am both impatient to see how it ends, yet simultaneously dreading the inevitable as well. British Royal Navy Capt. Sir John Franklin is nearing the end of an uneven career. Described as "a man everyone likes, but no one respects," Franklin has seen men die under his leadership on previous expeditions, and now he would like to retire with honors by discovering the Northwest Passage. Guiding the HMS Erebus into uncharted territory, Franklin's most perilous journey yet pushes his crew to the brink of extinction. Frozen, isolated and stuck at the end of the earth, the men have been put in horrible danger by their commander's Victorian hubris. A struggle to survive ignites infighting, and Franklin must try to undo the damage he has caused.